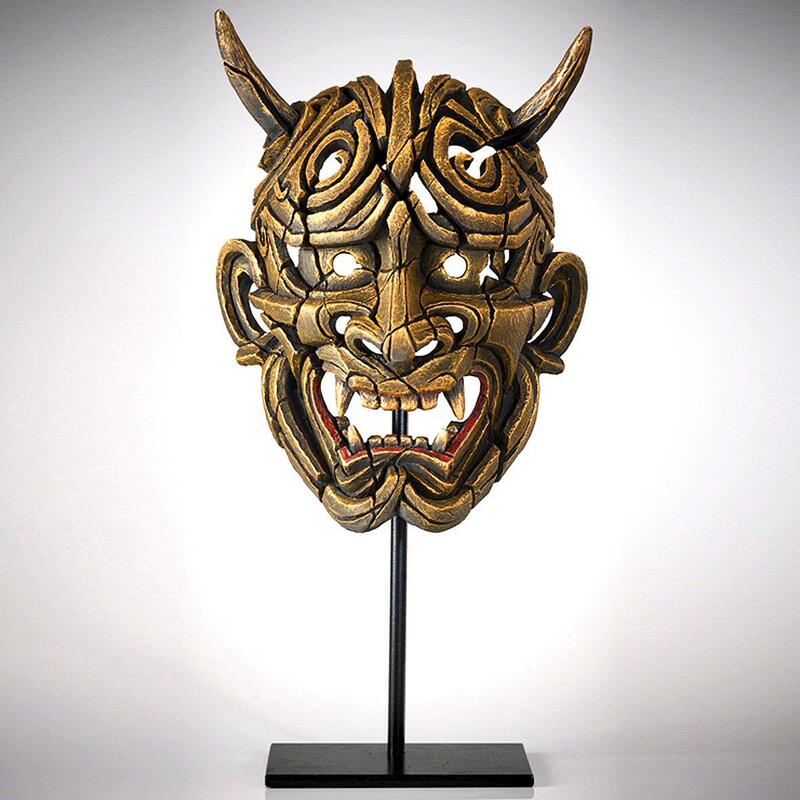 Japanese Hannya Mask sculpture by Matt Buckley from the EDGE collection. 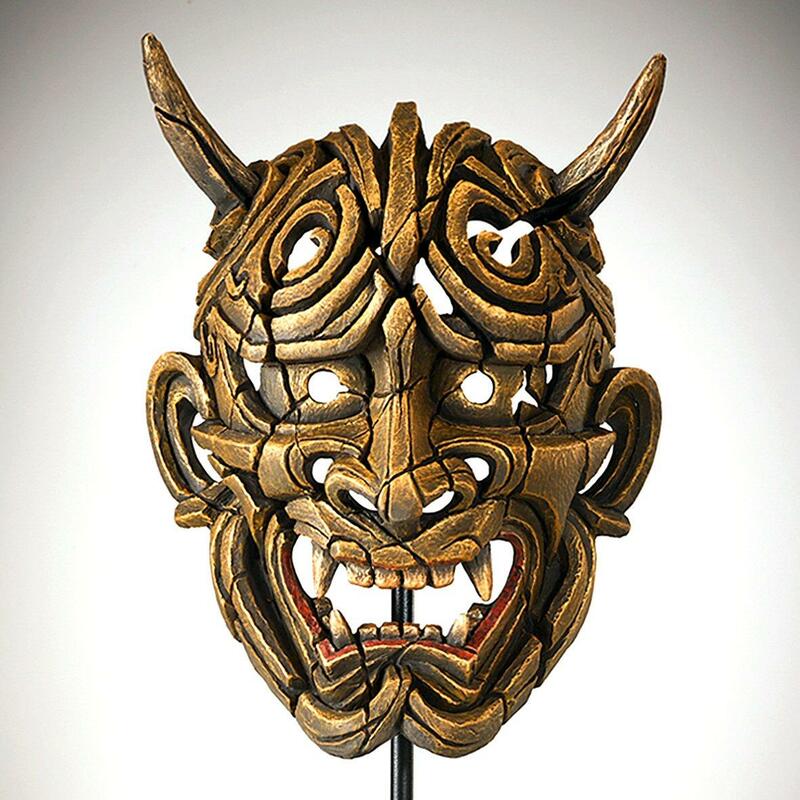 The Hannya mask is used in many traditional Japanese plays and ritual dances. In Japanese culture the Hannya mask depicts a woman who has become a demon through jealousy or obsession. The Hannya mask dates back to the sixteenth century and Japanese folklore attributes its creation to a monk called Hannya-bo. This mask is finished in a striking Netsuke gold patina but there are also versions in red - HANNYA MASK RED EDM01R and white HANNYA MASK WHITE EDM01W. Size: 35.5 cm high, 26.5 cm long, 15.0 cm (14 x 10.5 x 6 inches). Height including metal base 52.0 cm (20.5 inches).